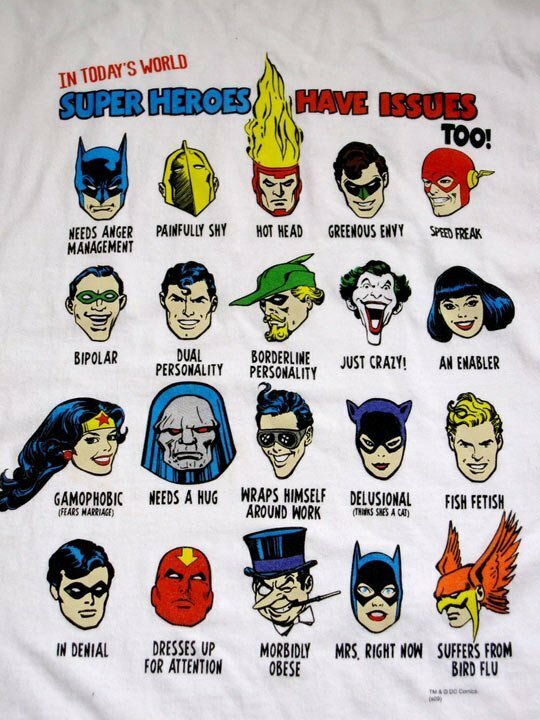 Superheroes Have Issues Too! Superheroes Have Issues Too! Home Humor Superheroes Have Issues Too! We live in the 21st Century and lately everyone has issues. You can could argue that women have more issues than men (thanks to women’s logic), you could also argue that there are is a LOT more medication than there was in the 20th Century or you could also argue that nothing was really childproof when our generation was growing up so we have an excuse for not having issues. The fact remains that issues are NOT decreasing. When I was growing up we didn’t have World of Warcraft addictions, Twightards (people who have watched or read Twilight too much), Beliebers (fans of that little twerp Justin Bieber), Twerking (something that could only be invented by that retard Miley Cyrus), child proof tomato sauce bottles (something that I still find ridiculous to this day), hipsters (a group of individuals that I still don’t have a proper definition for) and a whole range of other issues that were invented in the first 13 years of this century. So, my point is, the next time you think you have an issue that’s not really something that could be life threatening or something that kill everyone on the planet, keep it to yourself, we have enough issues in the world today, we don’t need ANOTHER meaningless issue that no one cares about. What do you think? Leave a comment and let me know. Feedback is appreciated and welcome here. If you’ve enjoyed reading this post, feel free to share it with your friends on Facebook and Twitter. Sharing is caring after all. 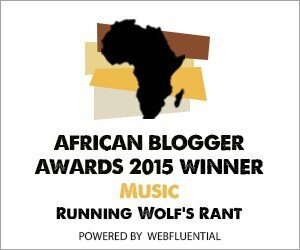 Watch this space for regular updates in the Humor and Opinion categories on Running Wolf’s Rant.